Photograph of a UND Hockey game. 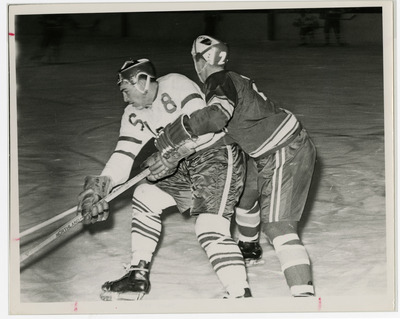 UND Hockey player Gerry Kell (8) is photographed here. This photograph can also be found in the 1964 Dacotah Annual, page 84.